The Natchitoches Trace (also called the Old Spanish road) passed through Wayne County, Missouri. Historic records indicate that this was the route used by the Cherokees and their enslaved Africans during the Trail of Tears. John Benge (pronounced binj like a buying "binge") conducted a detachment of approximately 1200 individuals along this portion of the Natchitoches Trace during December of 1838. There is a strong likelihood that it was also the route used by General Sterling Price (CSA) as his forces moved northward before the Battle of Fort Davidson (also called the Battle of Pilot Knob) on September 27, 1864. 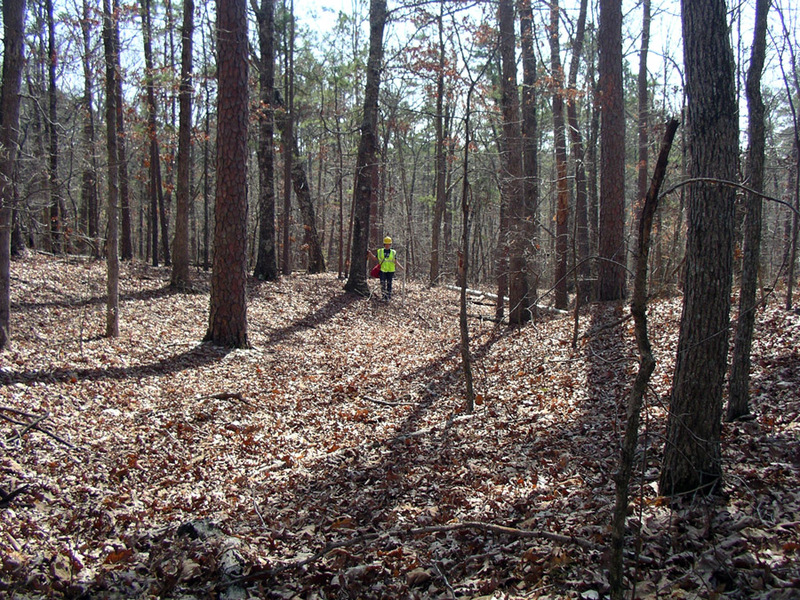 A 4 miles segment of the trail was assigned to STLCC for field surveying by Bruce A. Gibson (Zone Archaeologist, Eleven Point Ranger Station, Mark Twain National Forest). 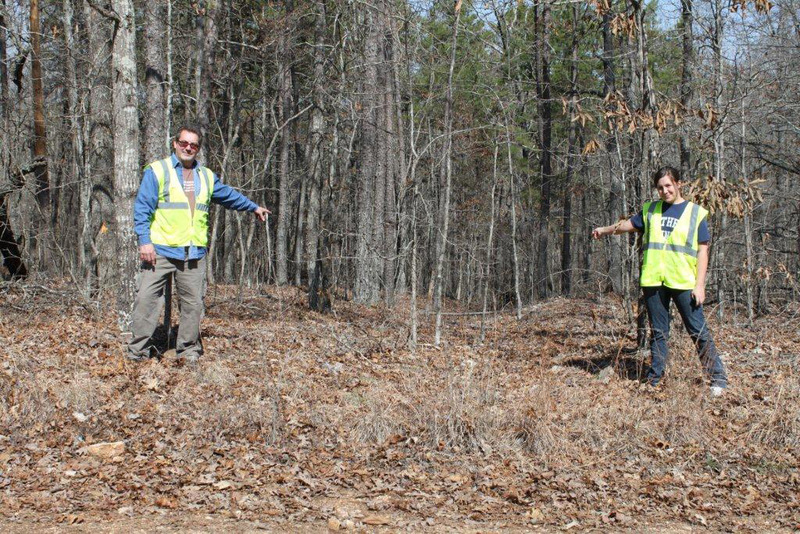 Logistics for the project was coordinated by Keri Hicks and Jane Mobley; both working on behalf of the Mark Twain National Forest. 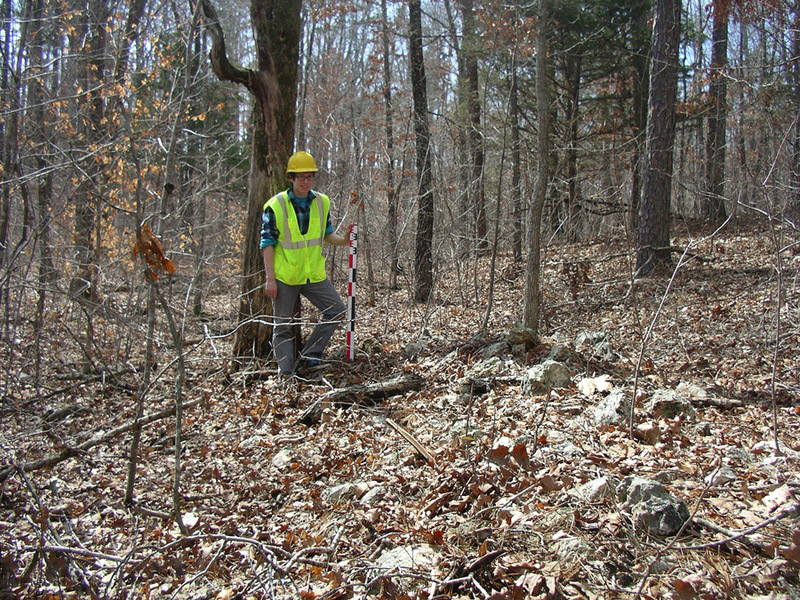 The corridor that we field checked is based upon the research of Russell Weisman, Senior Historic Preservation Specialist, Missouri Department of Transportation. The STLCC field team was directed by Professor Michael Fuller (Behavioral Sciences, STLCC-Meramec) with the help of Professor Kay Blalock (History, STLCC-Meramec). The archaeological survey of the Natchitoches (pronounced NAK-e-tash) Trace/Trail of Tears in Wayne County was a Service Learning Project conducted over Spring Break by 5 undergraduate students and two faculty members. 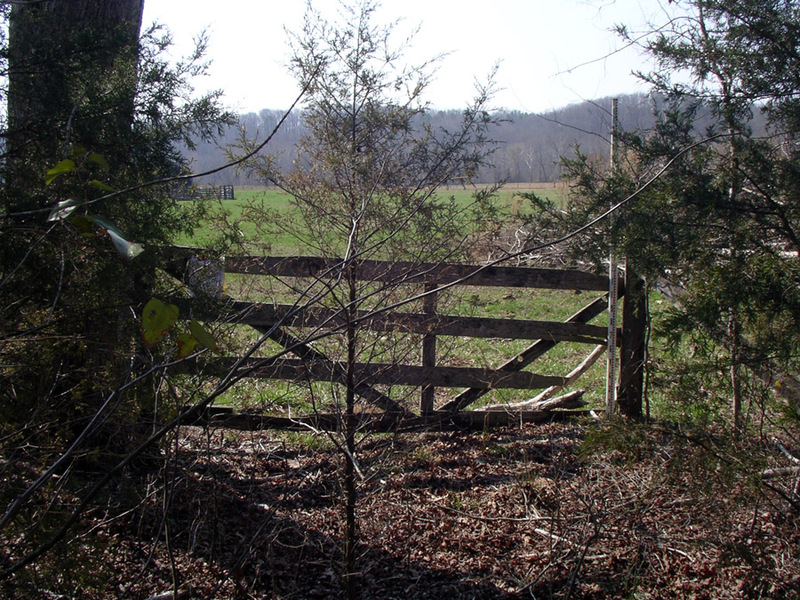 Farm gate on the Davidson farm that closes off the Natchitoches Trace. Digital photograph taken from the Wayne County road 430 looking North. 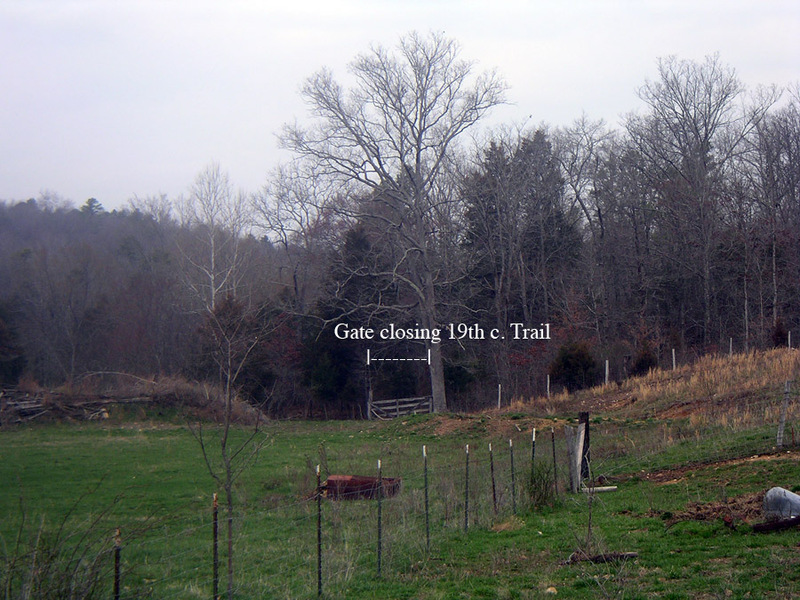 Farm gate that closes off the Natchitoches Trace; looking South. Davidson Cemetery located immediately north of the Nachitoches Trace. Five tombstones mark 6 burials: Dr. Nathan Stockard Davidson (b. 27 August 1846; d. 15 February 1907), Elizabeth A. Davidson (b. 12 January 1859; d. 2 March 1939), Leona Davidson (b. 7 June 1878; d. 22 June 1962), Dora Edith Davidson (b. 23 January 1887; d. 31 July 1910), Paul Wayne Henderson (b. 19 December 1915; d. 8 July 1916), and Ava May (Davidson) Buck (b. 13 July 1894; d. 3 August 1928). Dr. Nathan S. Davidson served as a private in the Missouri 16th Infantry Regiment, Company D (Confederate States of America) during the Civil War (source Historical Data System Comp). His enlistment in the Missouri unit would indicate that he had moved with his parents to Southeast Missouri before the start of the Civil War. A 55 cm. 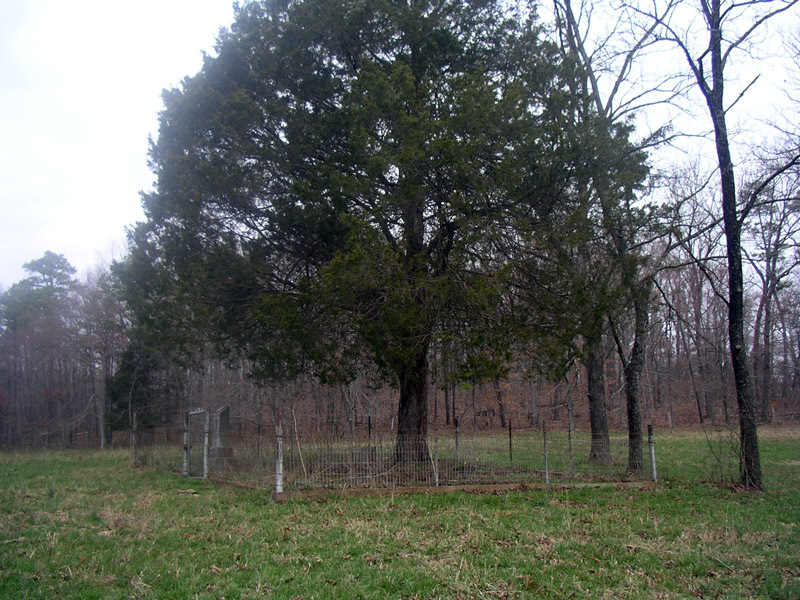 diameter red cedar is situated in the center of the small family cemetery. Photograph facing north. Cemetery measures 6.95 x 7.95 meters. Survey point 66 - the deepest ruts in the STLCC survey area; facing North. Rut depth = 122 cm. Survey point 74 - clear trail facing South. Rut depth = 35 cm. Survey Point 90 - Anna Myers sands in the eroded trail as it winds down a hillslope; facing South. Rut depth = 30 cm. Alan Westfall and Anna Myers at Survey point 116 - north side of Forest Service access road 3122 looking North. Most of the trail is a single lane. 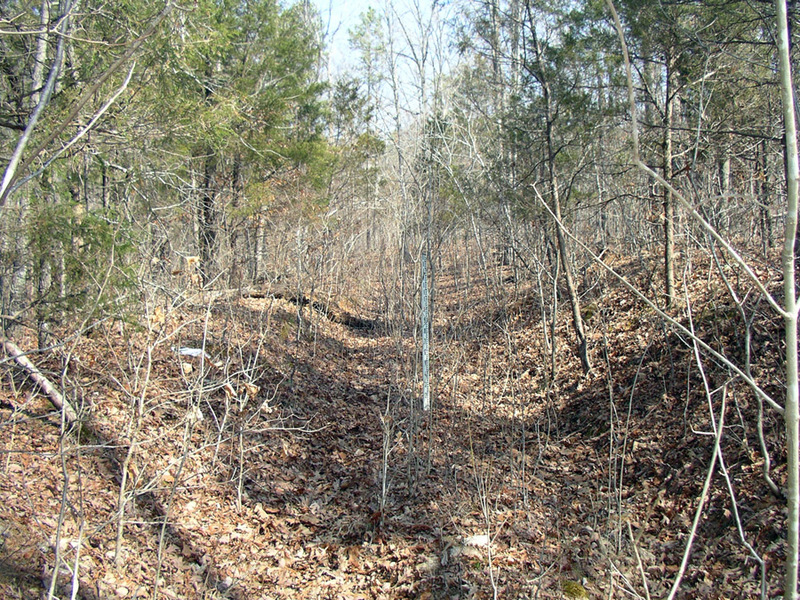 In a few spots the trail forms two lanes and in one section there were two wagon size lanes and a single foot path. Survey point 122 - Kris Herring in the trail leading downslope; facing North. 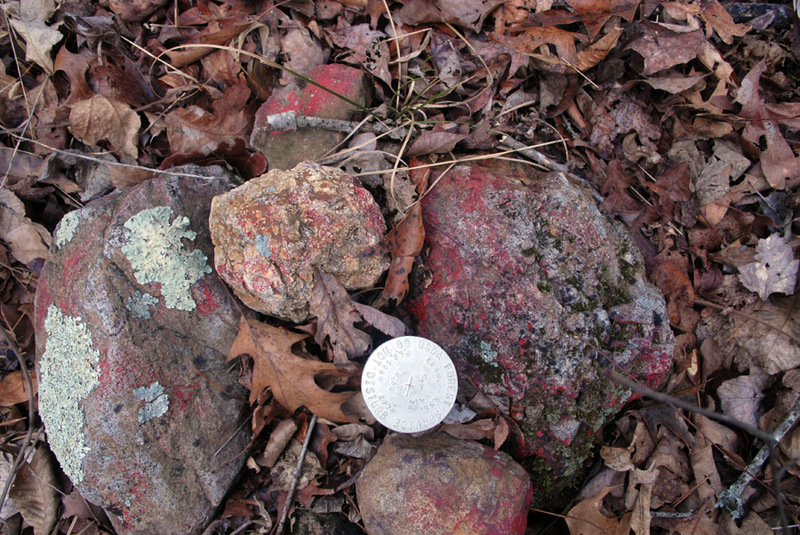 Rut depth = 50 cm. 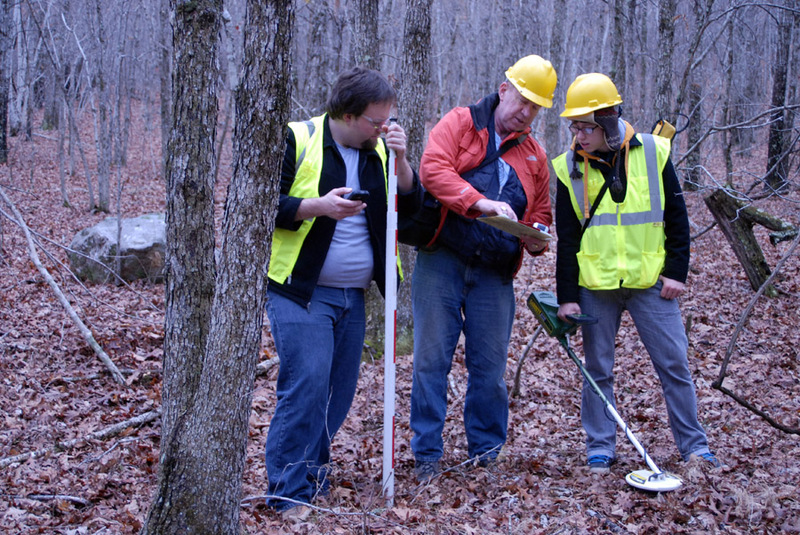 Professor Fuller (center) shows Kristopher Herring (right) and Jason Roche (left) the group's location on a topographic map based upon the GPS coordinates. The furthermost point in the STLCC survey area that we traced the trail was survey point 139 where the trail was lost in a field of weeds and multi-floral roses. 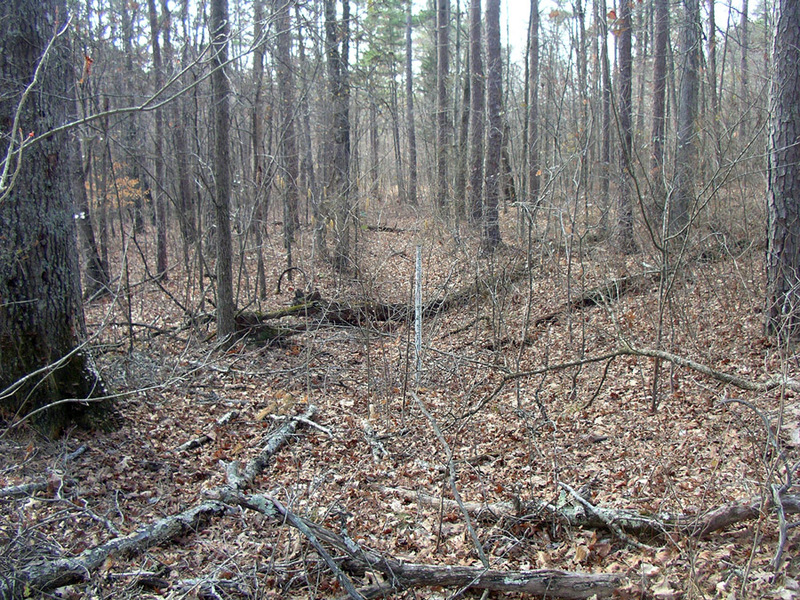 The distance between survey points 64 and 139 is 3.17 miles. 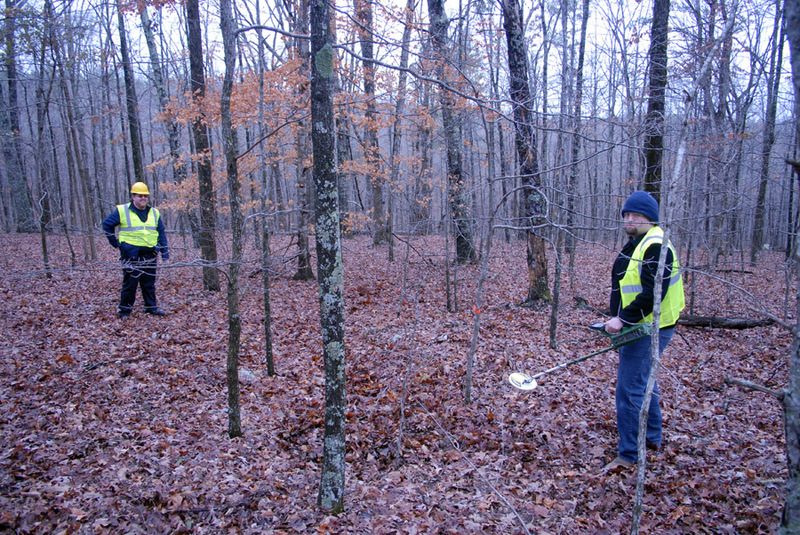 Jason Roche and Carl Wolf check for metal artifacts using a metal detector. Only a handful of 20th century pieces of metal (tin can fragments and wire nails) were found discovered with the metal detector. 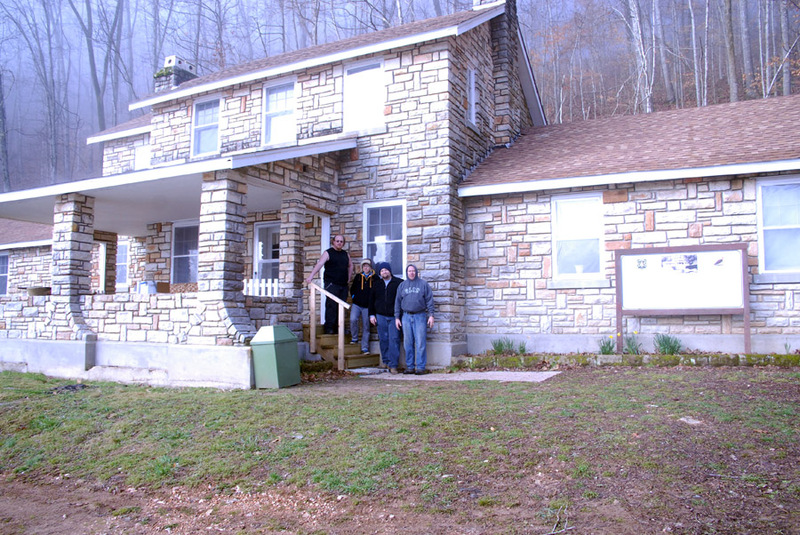 The STLCC team stayed at Markham Spring during the survey. 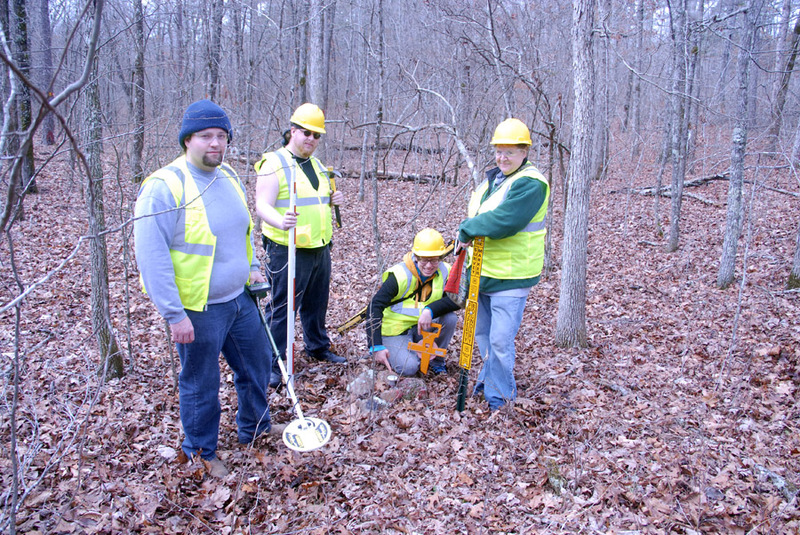 Survey crew locates a USGS benchmark. From left to right: Jason Roche, Carl Wolf, Kristopher Herring, and Professor Kay Blalock (Dept. of History, STLCC-Meramec). 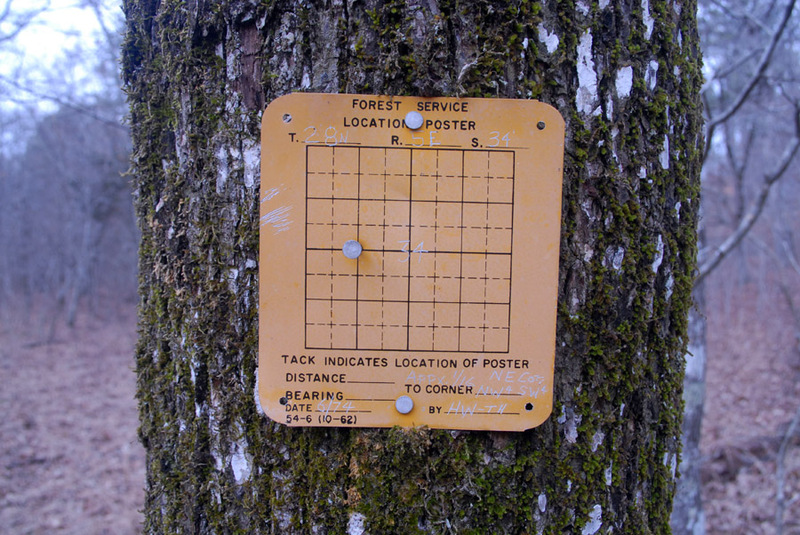 Benchmark in the National Forest. 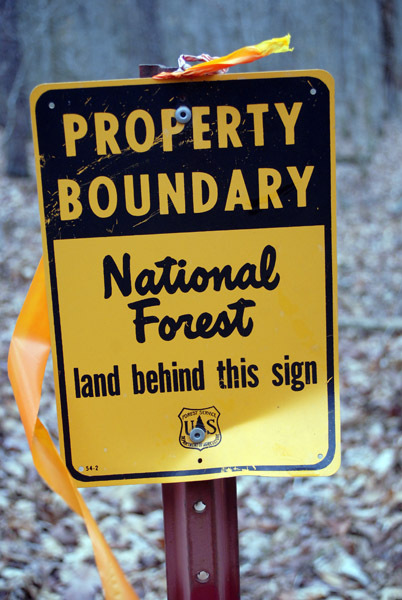 National Forest Service boundary sign. Many thanks to Bruce Gibson, Keri Hicks, Jane Mobley and Russell Weisman for defining the project area and helping with all manners of arrangements. Special thanks to Professors Neathery Fuller and Kay Blalock for their assistance in the historical research and for listening to me talk endlessly about the project. Cynthia Price (retired USDA-Forest Service zone archaeologist) was of great assistance when she described her experience mapping the Natchitoches Trace in Ripley County near the Widow Harris Site. Linda and Carl Lunyou (Wayne County Historical Society) provided useful insights concerning the early road system in Wayne County, MO. Finally, a heartfelt thanks to Ettus Hiatt for proofreading this webpage.